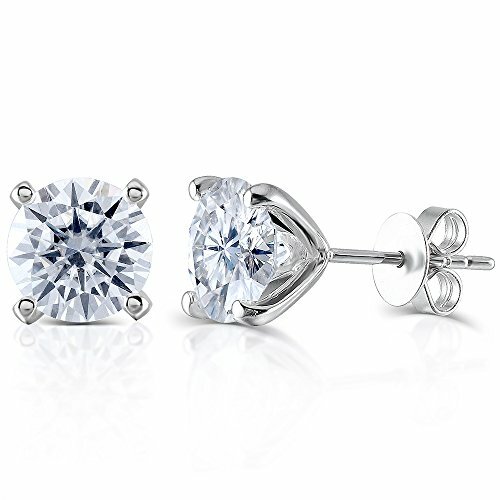 This earring made in Genuine 14K White Gold,This beautiful moissanite stones have a very high quality with a economical price point that anyone can afford.Moissanite H color ,all of them selected carefully by TransGems which the biggest moissanite Jewelry producer. Push back earring setting with the best plating technology and high polished. This design both fashionable and simple, It is suitable for any occasion to wear. Lifetime Warranty and Certificate of Authenticity included.Transgems have professional cutting department and high quality moissanite stone never fade.